A sabbatical is a period of paid or unpaid time off of work that offers you the chance to return to your job role or a close equivalent at the end of it. Whilst your benefits are normally frozen during this time (pay, pension payments, share earnings), usually you continue to accrue pro-rata related benefits. A standard time-period for a sabbatical is between 3 and 12 months. This series will teach you everything you need to know on the subject of sabbaticals. Here in part one, I cover off the ‘what’ of sabbaticals. What does the UK law say on sabbaticals? What is the difference between a sabbatical and a career break? 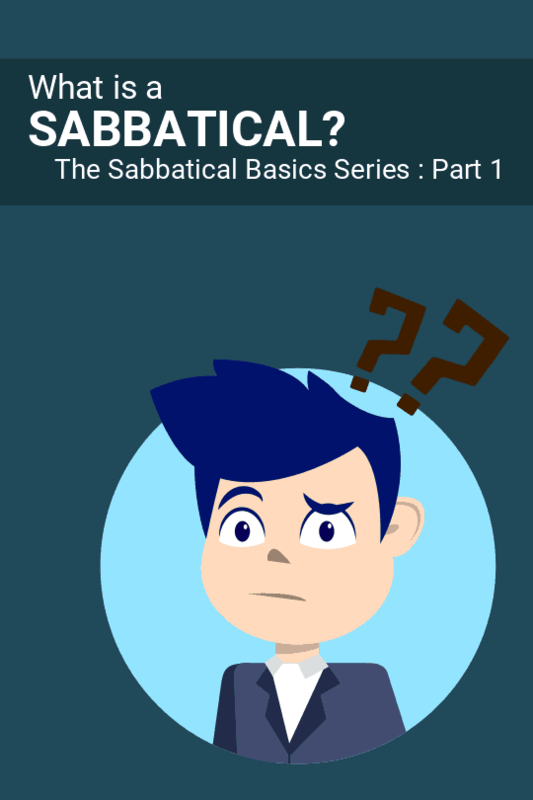 What does the word sabbatical even mean!? 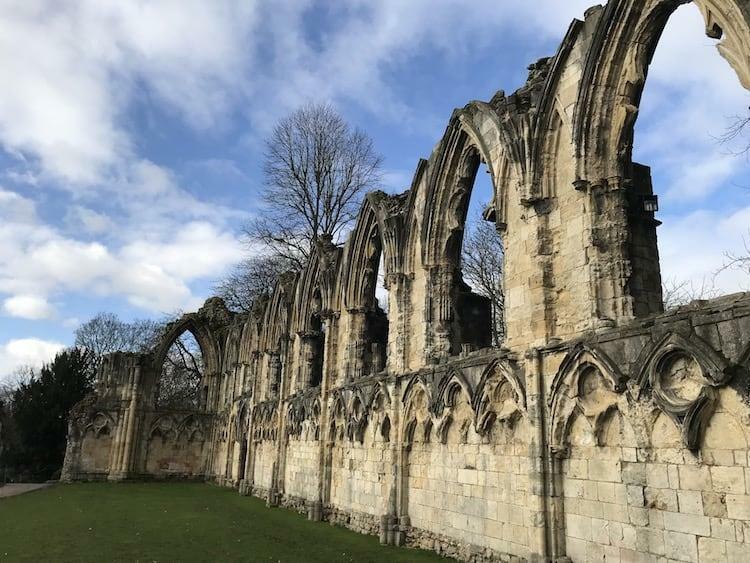 So if you’re on a quest for knowledge, wanting to learn a more about sabbatical…. And when you’re done learning about the ‘what’ I also have the ‘why’ and ‘how’ covered too…. At the end of the article you’ll find links to parts two and three of this sabbatical basics series. So by the time I’m done with you, you just be an expert, confidently able to plan the difficult decisions that come along when you start to plan in a sabbatical. So without further ado, let’s get going…. How do I Find out if I can Take one? A sabbatical is a period of extended time off agreed between you and your employer, usually between three and twelve months. Extended breaks of up to five years are uncommon but not unusual, but these tend to be classed as ‘career breaks’, and often involve a break of service. Sabbaticals are generally unpaid, but are in some circumstances offered as a paid benefit. Paid sabbaticals are most often seen in the academic field, where time is taken off from regular work search as teaching to focus on research, or writing a book. These sabbaticals are often applied for, with a competitive process in place to weigh up the proposed value of the time to the institution. Generally though, sabbatical has become a term more commonly used for an unpaid leave arrangement between and employer and employee. There are no specific laws about career breaks (see below) so you would need to look specifically at the terms of taking a sabbatical within you individual organisation. Please note this is not an exhaustive list, so please consult the HR conditions from within your own company before applying to take a sabbatical. There are no laws that cover taking sabbaticals or career breaks in the UK. ….It was for me too! A sabbatical is a benefit drawn up by employers. It is not a right, such as maternity leave or holiday entitlement. In these instances the government is specific with statutory entitlements, but with sabbaticals the terms are left to the employers. Many employers do however offer sabbatical leave or career breaks as an incentive or benefit to colleagues. It is hard to find specific statistics on the number of large companies that offer sabbatical leave as a benefit, however this article from 2009, states it was 20% of companies and had grown by 36% from 2008. This suggests that sabbaticals are a benefit that is on the rise amongst large companies as more HR strategists recognise the benefits to both employees and their employer. The best way to find out if this benefit it written into your company policies is to ask your HR team, or read the appropriate section of their website or intranet. You may find that the internal ‘laws’ regarding sabbaticals will vary dependant on the amount of time you want to take off. 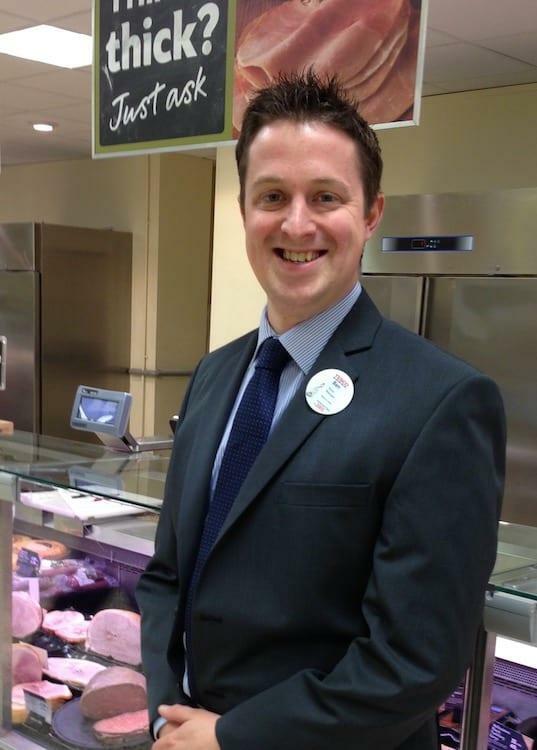 Me in my Tesco days – yes it really says ‘thick?’ above my head! As an example, when I worked for Tesco you could take anything up to three months off unpaid as a ‘lifestyle break’. If it was agreed, they would keep your current job vacant, and maintain your benefits. Anything over three months and up to five years could still be requested, but this would be classed as a ‘career break’. This was treated as a break in service, and meant any benefits relating to length of service would be reset. They guaranteed there would be a job available at the end, but it had to be a live vacancy, and could be in different departments, hours or even different stores. But please remember, as this is not a law, your employer has the right to refuse your sabbatical request, as it is them that provide the benefit not the government. We will cover more about how to request sabbaticals in part three of this series. 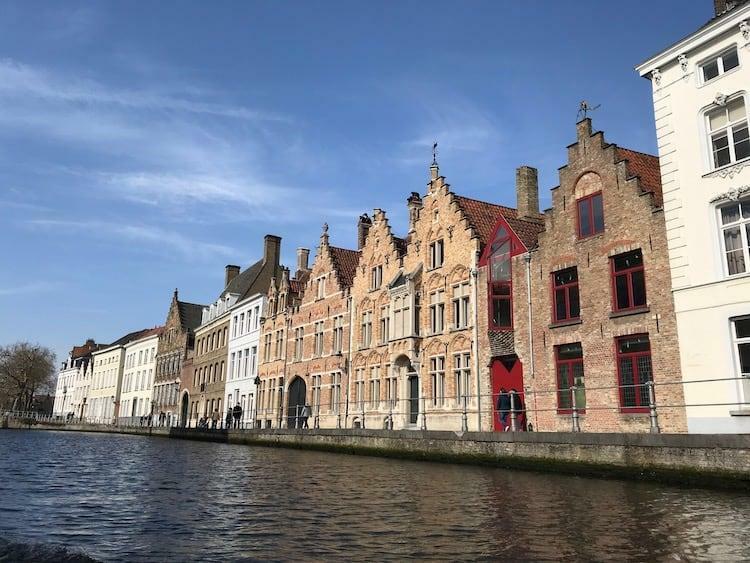 Sabbatical and career break are often words that are used interchangeably, however, due to the lack of specifics in UK law, they are used in different ways in different companies. Sabbatical is not a word that is exclusively used in America, it is a term very much prevalent in UK companies too. A sabbatical is a period of paid or unpaid time off that offers you the chance to return to your job role or a close equivalent at the end of it. Whilst your benefits are normally frozen during this time (pay, pension payments, share earnings), you can usually continue to accrue pro-rata related benefits. Sick pay allowance will continue to grow if it is pro-rata based on length of service. A career break however, is exactly what the name suggest – a ‘break’ in your career. The reality of this situation is that it is not alot different to resigning your position. The company may keep you with a live employee number, rather than process you completely as a leaver, however when you return everything relating to length of service will be completely reset. Other than the skills you built up before the career break, everything about your career is likely to be put back to day one. As an example, most companies will build up your holiday allowance based on years of service. However, if you decide to take a career break, this holiday allowance will be reset to zero again, so when you return it will be like your first day with the company. I have to stress though, the above is not a universal take on the difference between the two terms. You just need to take one look at the Wikipedia entry on career breaks to see there are a number of different explanations for what these terms mean. My advice would be, to do the research at your own company before you request anything. Make sure you know exactly what you’re asking for, and what those terms mean for the business you’re in. The word sabbath is also used to refer to a sabbath year. This is the seventh year of the agricultural cycle set out by the Torah. In this sabbath year, the land is left to fallow so it has a chance to rest and the nutrients go back into the soil. This sabbath year was also known as a sabbatical year, and this is where the origin of sabbatical came from. The use of the word sabbatical year then evolved into the academic world, and it became a period of paid leave given once every seven years to a university teacher, which allowed grow their knowledge through travel, study or undertaking a pursuit such as helping out at an archaeological dig. Sabbatical has now become a general term, used for either paid or unpaid leave given as a benefit to employees by their company. This is part one of three parts called ‘The Sabbatical Basics Series’.